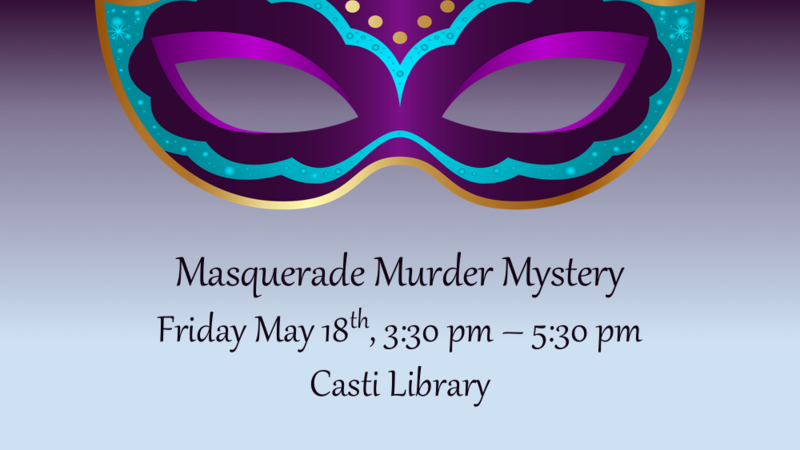 Join us on Friday 5/18 from 3:30 – 5:30 in the library for a murder mystery masquerade! Please only sign up if you are able to stay until 5:30 so you can be a full participant. Questions? Great, asking questions is the best way to solve a mystery! Come see a librarian for more information!